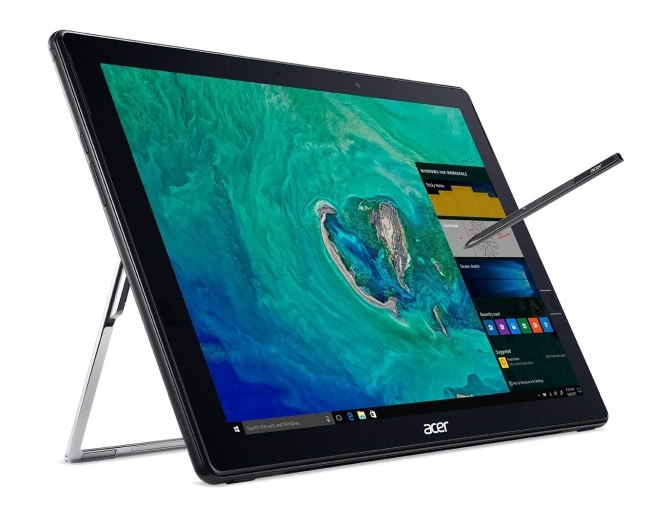 The tablet is interesting in itself, but I know a lot of people will find the price of $1699 too high for a tablet from Acer, especially now that the Kaby Lake-R processor is left behind the newer Coffee Lake processor at this point in time. 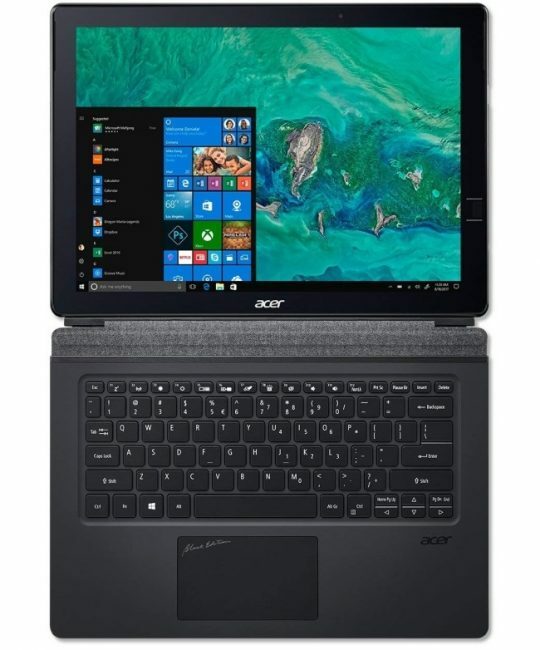 Specs that makes the Acer Switch 7 Black Edition stand out includes an integrated battery free Wacom EMR digitizer pen with 4096 levels of pressure sensitivity, under-glass fingerprint sensor, LiquidLoop fanless cooling system, the one hand adjustable Acer AutoStand kickstand, a thin keyboard cover, and high performance. 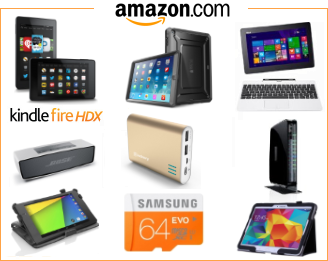 The other main hardware includes a quad-core 1.8 GHz Intel Core i7-8550U processor, Nvidia GeForce MX150 GPU, 16GB LPDDR3 RAM, 512GB SSD storage, and a 13.5-inch screen with 2256 x 1504 resolution. 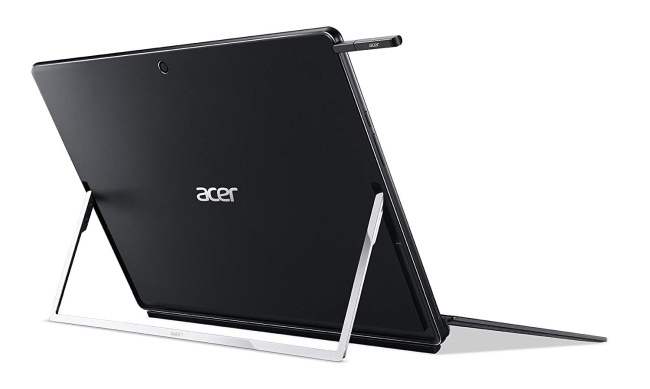 All of this gives the Acer Switch 7 Black Edition benchmark scores of a maximum of just over 4600 in single-core scores and 12600 in multi-core scores on Geekbench 4. 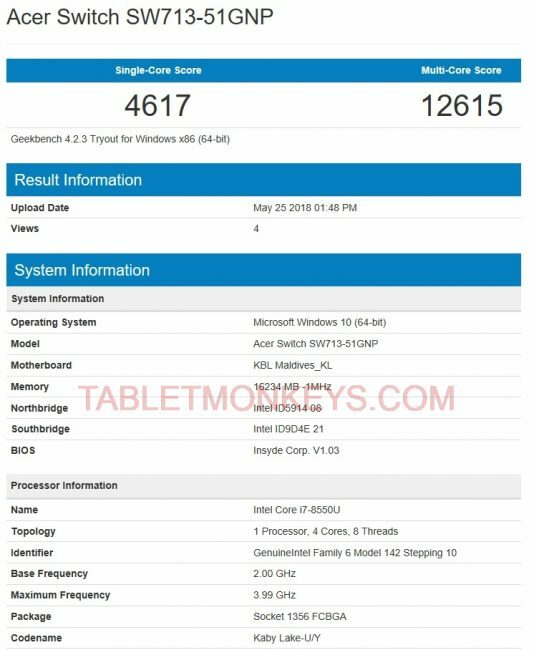 These are good scores, but compared to the main rival Surface Book 2 in the 13.5-inch category, it is still behind the 5000 single-core and over 15000 in multi-core score you can get on the Surface Book 2. 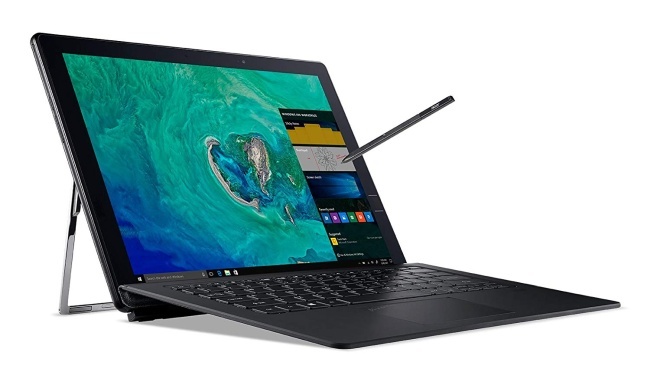 Acer Switch 7 Black Edition als has stereo speakers with Dolby Atmos, a HD front webcam, a 5MP rear camera, a microSD card slot, USB-C 3.1, Thunderbolt 3, DisplayPort, and a 3.5mm audio combo jack, a 4870 mAh battery with an 8 hour battery life, and dual-band 802.11 a/b/g/n/ac Wi-Fi. 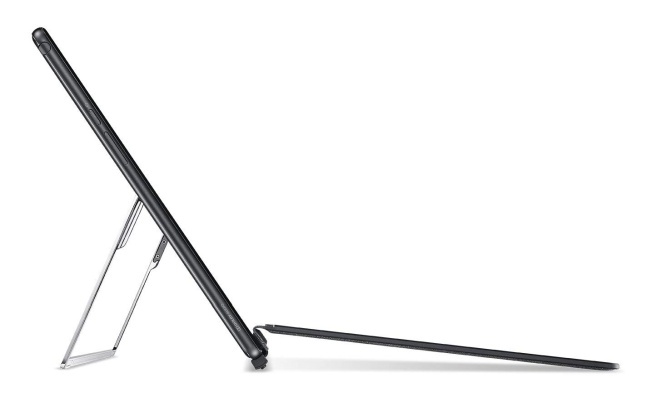 It’s made of brushed aluminum and it’s 9.99mm thick, and weighs 1180 gram, or 1600 gram with the keyboard cover attached. And both the Wacom pen and the keyboard are included in the price.